Agent DJentropy Ovaert and company are sponsoring prizes for the top ten most valuable pods killed in the month of September. Note the distinction there: It's about quality, not quantity. Your objective is not to kill the most pods, but to kill the most valuable pod you can. Naturally, your odds increase with more kills, but even someone joining in at the last minute could take a prize if they get lucky. See the official EVE-O thread for the prize list. DJentropy is also keeping a leaderboard for the submissions already received. As before, membership in CODEdot or the New Order is not a requirement. Anyone can join in the fun! Also running this month, Sabriz Adoudel is handing out prizes for kills inflicted against incursion runners. Just in case you needed any more incentive to kill bot-aspirants during the month of September. It's so nice to see the once-dead highsec community finally joining together to celebrate EVE Online. That's the Code at work. And 10 days into the incursion contest (almost 1/3 over) and ...wait for it.....0 kills. Guess its just easier to blow up ventures and pods, eh? Looking for the contest that is doing awesome that the well know content creator "Veers Bevar" is running. Oh wait. It does not exist. He'll just cry more and whine that the quality of other content creators does not meet his high standards as a player who embraces the concept of the sandbox. Inb4 he whines about "emotional abuse" or "the AT" or whatever else he's crying about these days. Veers keeps crying, miners, pods, and AFK incursion bot miner aspirants keep dying - but at the end of the day? After the AT Fiasco you must be absolutly happy to have a scapegout like Veers Belvar. Bad luck, That Fiasco was so outstanding, it wont be forgotten, no matter how hard you try. CODE. themself worte in the book of New Eden history what cowards they are. And how they are wriggling and try to point and spit at others. CODE. won the official price of the createst Cowards and Hipocrits of EvE ever. Even taunted by Capsuleers in no more than their caspules. What I want to know, will CCP ban any other team if they forfeit a match in any ccp related event (in ref to anon 9.06am comment)? Or are ccp, retaliating against the idea of code, because there's no other way to stop the idea that James 315 started. I'd like to donate a prize. 10 x Fitted T1 Catalyst's. Maybe to the youngest ganker? Sure! Contract it up, and I will add it to the list! Also - everyone, remember I am tracking and running this contest pretty much solo. Leaderboards will be updated every 24-72 hours, work and real life keeps me rather busy sometimes. Right now I am 48 hours behind, but expect a update first thing in the morning! So many submissions, so much fun! Veers cries, pods and AFK incursion miners die! DJ Entropy, you should have asked ccp if you could have used the "killings just a means" song to advertise the event. ie nothing says I love you more than a kill mail. I despice code monkeys, but that? Fair game, since the target are the most expensive pods. It dosnt make sense to shoot newbs. Nope you are lying again. you try to compensate that life is being mean and cruel to you, by being mean and cruel to other weaker people. Be assured, since AT you will gain nothing more than a sardonuic smile from the likes of me. AnonymousSeptember 6, 2014 at 9:01 AM ... why do you insult other players by assuming they are weaker? eh niki, you realize how stupid this question is? The really silly part is this whole concept that only exists in the mind of the care-bear ... this concept that a new player somehow deserves special treatment and should not be subjected the same rules other players are subjected to. This goes against the very spirit of EVE online. 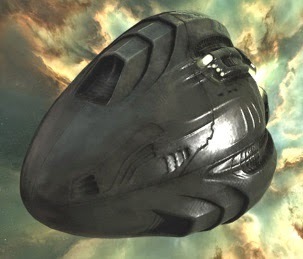 In fact, it's much better to take many many losses as a very new player and learn from the experience then it is to expect CCP to babysit you until you can fly the expensive stuff and experience that as your first loss. Also, "newbies" have it easy - they can stay in their rookie systems. Ganking, bumping, anything that gets in the way of them learning the basic rules of the game is not tolerated. Finally, what really depresses me the most about this - I have seen a few characters not more then a day or two old band together and do some amazing things, and score kills against targets that have been playing since day one. If you choose to be weak, defenseless, and a soft target - you will always be one.